The Best House Cleaning Service in Columbia, SC! Save up to 40% on Recurring Services! No Contracts! No In-Home Estimates! Whether you need a quote first or you’re ready to book, we’ve made it simple. You can do everything online or we can handle your request via email or over the phone! After you’ve booked one of our Standard Packages or an hourly cleaning that you customize, one of our cleaning professionals will deliver the cleaning you requested. After your first service, regardless of it was one-time or you set up recurring services, we will be ready to handle your next request. Don’t forget to refer friends so that you can earn discounts on future service! When you decide to pay for a cleaning service, not only do you get a clean home, you get “time.” Whether you want to focus on work or enjoy some down time, outsourcing is the key to getting it done. We rigorously vet each Cleaner. We require all Cleaners to have thorough background checks, in-person interviews and 3-5 verified references before they are trusted in our client’s homes. 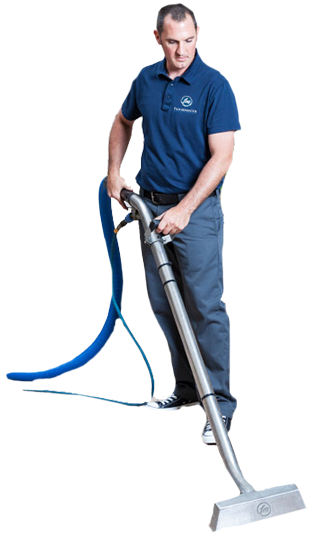 Our Professional Cleaners are experienced and provide a variety of cleanings. We still require them to participate in ongoing training to ensure you receive consistently great service. Work with the same Cleaning Pro for each visit or try different Cleaners to find your perfect match–all in one place. Even if the Cleaner did a great job but you simply want to try someone else, we don’t mind at all. Request new bookings, change your cleaning schedule, pass along important notes, etc. Whatever you need to let us know, we make it a point to be accessible. Calling, Texting or even Emailing work perfectly fine! No more forgetting to pay the cleaning service. When you set up your account, you enter your payment details and Voila! You’re all set! Your card is charged after your cleaning has occurred. You never have to look for another cleaning service again! Why? Because we spare you by working 24/7 to make sure we recruit, interview and background check only the best cleaners Columbia has to offer! We constantly check other sites for 5-star cleaners that will provide awesome cleanings! But it doesn’t stop there. We put performance measures in place so that if our cleaner is unable to maintain above a 4-star rating with our clients, they are no longer able to work with us. Getting your cleaning provided by The Cleaning Club means you’re only getting the best! I hate to admit it but sometimes the house truly is a mess! The ladies always find a way to work their magic! Thank you so much! I’ve used them for years without any issues. Started when they were called Lexann’s. They are very responsive and easy to work with. I’m always happy to recommend them to my friends and co-workers. If there are ever any issues I know they will fix them ASAP. Thanks. Sonia & Maria are awesome! They aren’t the initial crew that I started with but they have all been wonderful! Very nice ladies! How To Do More: 3 Very Simple Rules You Can Use Today!